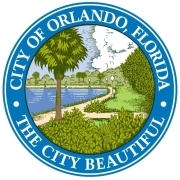 166 Summer Camps in for "Orlando, FL"
Head to Orlando, the theme park capital of the world. Swim with dolphins at Discovery Cove, race down a water slide at Wet n' Wild, and explore the universe at the Orlando Science Center. Nowhere else can you get closer to exotic marine life then Discovery Cove. Glide through the water with dolphins or hitch a ride back to shore. Kids get to frolic in the fresh water with the small-clawed otters and the marmosets, or snorkel through a tropical river to catch a glimpse of colorful fish and graceful rays. Back on land, stroll through the aviary to feed the birds and hear their songs. Need to relax? Take a load off and kick your heels back in the water-filled trails. Splash and play for hours at Wet n' Wild water park. Watch your children climb on the giant sandcastle structure while cooling off in the fountains and waterfalls. Enjoy the many water slides and rides, from the gentle and relaxing lazy river to the exhilarating slide with quick turns and multiple levels. Don't forget to check out the family-friendly water toboggan ride. Whether you want to keep it simple and swim, or get your thrills, there's something for everyone to enjoy at this water park. Observe the world around you at the Orlando Science Center. Interact with the staff and volunteers as kids learn about our planet and universe, examine reptile and dinosaur fossils, or design and build their own bridge. Take the littlest scientists to KidsTown, a miniature city focused on imaginative play and creative hands-on activities. Stir curiosity and exploration during a Science Live! demonstration including animal interactions, table-top experiments, and DinoSafaris in the Dino Digs. Youth Basketball of America is an international governing body which promotes youth basketball worldwide.